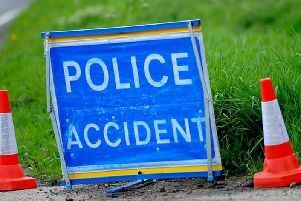 Police are appealing for witnesses after a biker died at the scene of an accident in West Yorkshire yesterday. The incident happened on Holmes Road, Sowerby Bridge at around 4.40pm yesterday. A Yamaha motorbike and a Kia Seed car were involved. They were travelling in opposite directions and the collision occurred on the bend in the road. Emergency services including ambulance were called to the scene but the 42-year-old male rider suffered serious injuries and was pronounced dead. Anyone with any information about this collision or saw either of the vehicles prior to the collision is asked to contact the police via 101 quoting log number *1308 of 9 October.